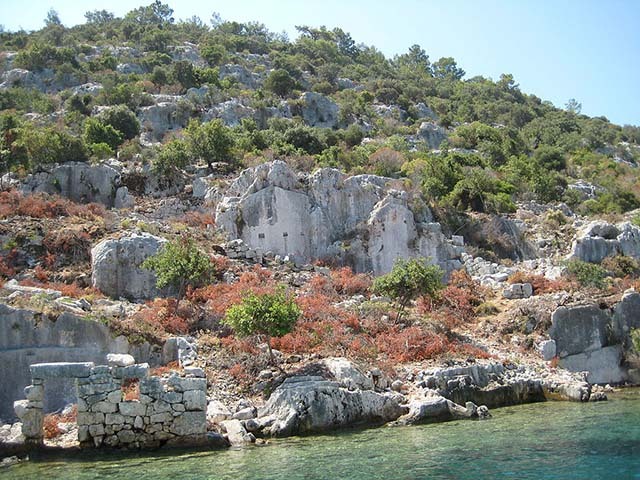 ﻿Kekova or Caravola, is a small Turkish island near Demre in Antalya Province, Turkey. On its northern side there are the partly sunken ruins of Dolchiste, an ancient town which was destroyed by an earthquake during the 2nd century AD and then rebuilt and still flourishing during the Byzantine Empire period. The ruins include a Byzantine church situated at the northwest of the island.